The history of Jerusalem dates back to the 4th millennium BCE, making it one of the oldest cities on earth. The city is known as the birthplace of three great Monotheistic religions; Christianity, Islam and Judaism. 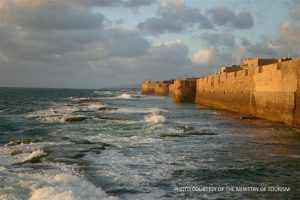 Of all the cities mentioned in the Bible, none is better known or figures more prominently than Jerusalem. 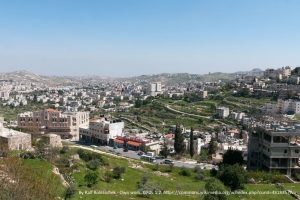 From its capture by King David through its destruction by the Babylonians and its rebuilding at the time of Ezra and Nehemiah, Jerusalem is central to ancient Israel’s self-understanding. 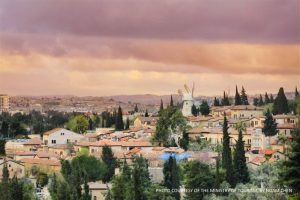 As the locus of Jesus’ activities during his final days, the city stands at the center of many of the crucial events narrated in the New Testament as well. 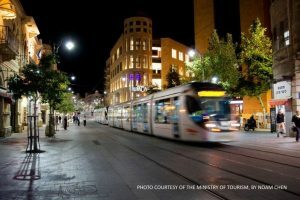 Modern Jerusalem is a thriving city that offers both the mystery and magnificence of the past and the luxury and efficiency of the 21st Century. 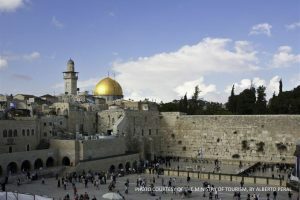 Our Jerusalem tour allows you to experience many different aspects of this unique city with a focus on the Jerusalem highlights. 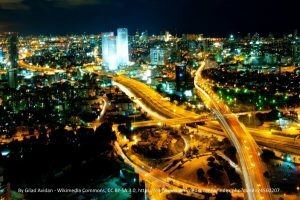 Tel Aviv is Israel’s financial capital and a major performing art, entertainment and business center. It is known as the city that never sleeps and a “party Capital”, and as one of the most liberal cities in the world. Titled the ‘Mediterranean Capital of Cool’ by the New York Times, this is a 24 hour city with a unique pulse, combining sandy Mediterranean beaches with a world-class nightlife, a buzzing cultural scene, colorful outdoor markets and incredible food. Tel Aviv’s White City, designated UNESCO World Heritage Site in 2003, comprises the world’s largest concentration of Bauhaus buildings. 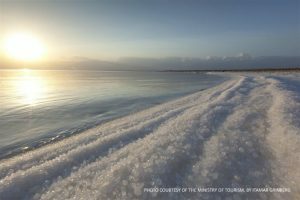 The Dead Sea, or ‘Sea of Salt’ as it is known in Hebrew, is a place of natural beauty, health and history. 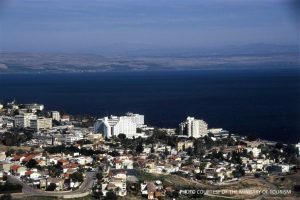 It has attracted visitors from around the Mediterranean basin for thousands of years and was one of the world’s first health resorts (for Herod the Great). This is a unique place, located east of Jerusalem in the Jordan Valley. It is the deepest hypersaline lake in the world, with a salinity of almost 35% (compare to the salinity of the Mediterranean Sea which is less than 4% at 5 meters depth) which makes swimming similar to floating. The Dead Sea is also the ‘lowest point on earth’, at 427 metres (1,401 ft) below sea level. 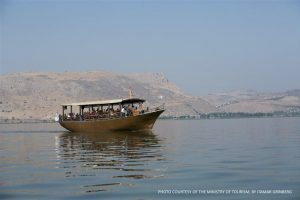 The main supply of water comes from the Jordan River, which has dwindled due to the regional water scarcity in combination with growing populations, thus the salinity of the Dead Sea keeps on rising. Masada is one of Israel’s most popular tourist attractions. It is an ancient fortification in the Southern District of Israel situated on top of an isolated rock plateau, akin to a mesa. 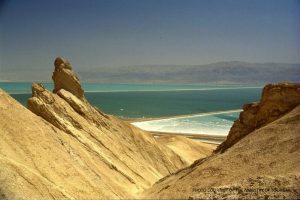 It is located on the eastern edge of the Judean Desert, overlooking the Dead Sea. 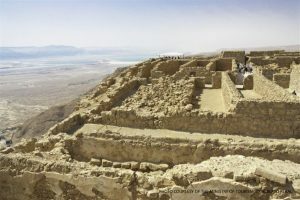 Herod the Great built palaces for himself on the mountain and fortified Masada between 37 and 31 BCE. 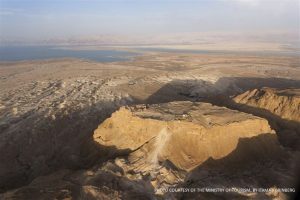 According to Josephus, the siege of Masada by troops of the Roman Empire at the end of the First Jewish-Roman War ended in the mass suicide of 960 people, the Sicarii rebels and their families hiding there. The site is astonishingly well preserved over thousands of years. Remains of the palaces, the water cisterns, the Roman legions’ camps outside and the ramp the Romans built to finally breach the wall are all clearly visible. 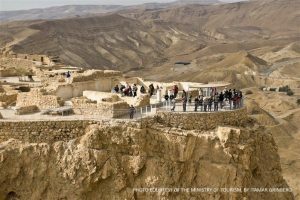 Come explore Masada and enjoy the breath-taking view from the mountain top. Depart Jerusalem. Continue north through the orange groves of Sharon to Netanya. 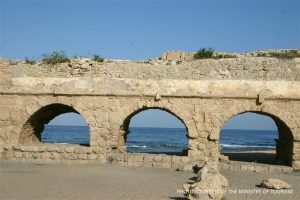 Follow the coastal road through the greenery of Hadera to King Herod’s ancient Roman port city of Caesarea. 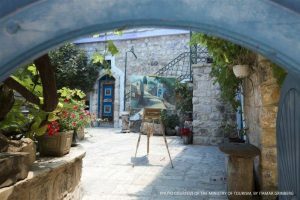 Tour the ancient port, Hippodrome and Crusader buildings and experience the museum and film that take you back 2000 years. 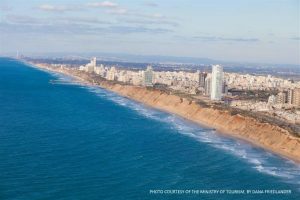 Pass Zichron Yaakov and hear about the vineyards and city that Baron Rothschild built nearly 100 years ago. 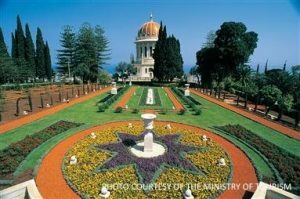 Tour Haifa, pass the Carmel Mountains, University of Haifa and the Technion – Israel Institute of Technology, Stella Maris and Bahai Gardens and exit Haifa north towards Acre. 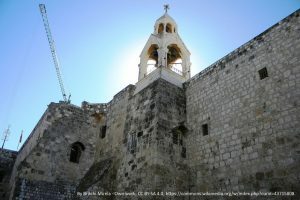 Visit Crusader sites and UNESCO Heritage site of the underground city. Tour ancient port city, the marketplace and return to Jerusalem, passing the citadel prison where the British jailed Israel’s pre-state fighters. 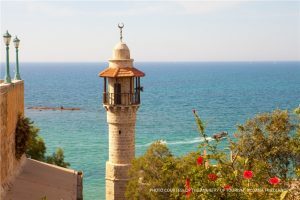 Travel northwards to the part of Israel known as the Galilee. 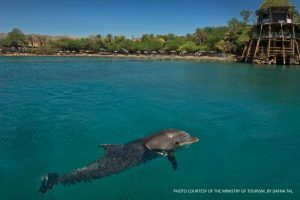 The Galilee offers stunning views of nature as well as historical and religious sites; Safed, the center of Jewish mysticism and Kaballah movement, Tiberias and the Sea of Galilee, the ruins at Capernaum, Tabgha and the Church of the Multiplication of the Loaves and the Fishes. 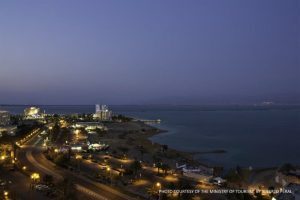 Eilat is one of the most unique cities in the state of Israel. 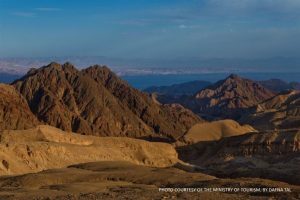 The warm and dry desert climate and the amazing Red Sea surrounded by beautiful mountains make Eilat the perfect place for vacationers, and definitely the number 1 resort town in the area. 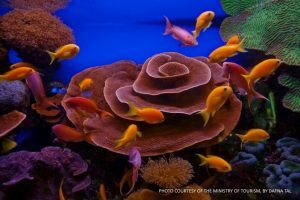 The city is rich with grand hotels, excellent restaurants, amazing beaches and a variety of attraction and activities. Bethlehem carries a great religious legacy. It’s the birthplace of King David according to the Jewish Bible (known as the ‘Old Testament’ to Christians) and the line of kings to which the Messiah belongs. 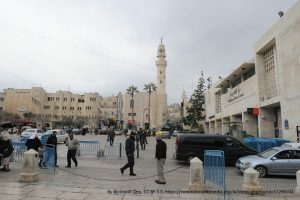 In Christianity, Bethlehem carries great importance as the birthplace of Jesus Christ, whom Christians identified as the descendant of King David and the Messiah that was promised. Bethlehem now has a Muslim majority, but is still home to a significant Arab Christian community.